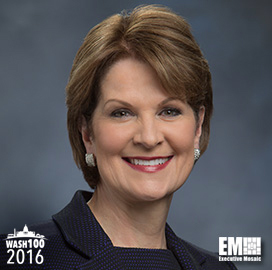 Executive Mosaic is glad to unveil Lockheed Martin (NYSE: LMT) CEO Marillyn Hewson as an inductee into the 2016 edition of the Wash100 — Executive Mosaic’s annual selection of the most influential voices in the government contracting arena. 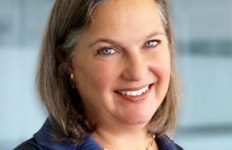 The three-decade and lifelong Lockheed veteran became chief executive of the world’s largest defense contractor in January 2013 and she also holds the titles of president and chairman of the board of directors at the Bethesda, Md.-based company. This is the second consecutive year Executive Mosaic has selected Hewson to the Wash100. In 2015, Hewson steered the company through two moves that represented large changes in the overall GovCon market’s composition: the $9 billion acquisition of Sikorsky Aircraft from United Technologies Corp. (NYSE: UTC) and the process to separate Lockheed’s government information technology and technical services business. Lockheed’s divestiture of its services business marks a greater shift toward aerospace and defense markets the company views as core to growth and offers a new opportunity for the IT unit to expand its footprint under a new structure, Hewson told investors in a July conference call to discuss both moves. 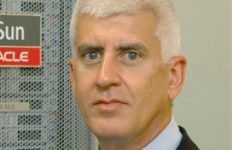 “We think if we can stand it up as a standalone company or if it’s attractive to buyout when we can get the right price for it, that’s the best for that business to go forward,” she said then. 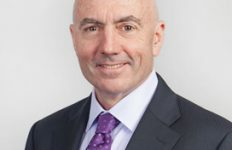 Reston, Va.-based government services contractor Leidos Holdings (NYSE: LDOS) will merge with those IT and services businesses in a Reverse Morris Trust transaction worth an estimated $5 billion to Lockheed shareholders through a one-time $1.8 billion payment and approximately $3.2 billion of stock in the combined entity. “This transaction is an important milestone in the portfolio shaping strategy and allows to focus on our core business in aerospace and defense,” she said in a January conference call to discuss Lockheed’s full 2015 results with investors. The company exceeded Wall Street’s expectations for full-year 2015 earnings and revenue as well as the fourth quarter analyst outlook. Capital return to shareholders has also been a major focus of Lockheed during Hewson’s tenure to-date as the company has allocated close to $6.8 billion for stock repurchases over three years. Lockheed’s earnings per share have risen 37 percent in the three years since her CEO appointment with a 31-percent increase in profit over that period against a nominal decline of 2 percent in sales from 2012. Also in that three-year span, shares in Lockheed have risen 161 percent. 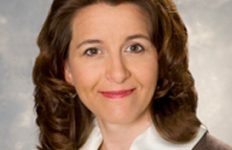 Forbes magazine ranked Hewson 20th in the publication’s 2015 list of “The 100 Most Powerful Women in the World,” which also includes another 2016 Wash100 selection in General Dynamics (NYSE: GD) CEO Phebe Novakovic. Executive Mosaic congratulates Marillyn Hewson and the Lockheed Martin team for their selection to receive this award.